As the highly anticipated third Hellboy film is set to hit the screens, it’s refreshing to know that the South West played its part in producing a cult-ish blockbuster. Principal photography mainly took place in Bulgaria, but it was Bristol and the surrounding area that provided the backdrop for the UK leg of the shoot. Bristol’s Bottle Yard Studios provided the UK production base, supplying offices, construction areas and prop stores. 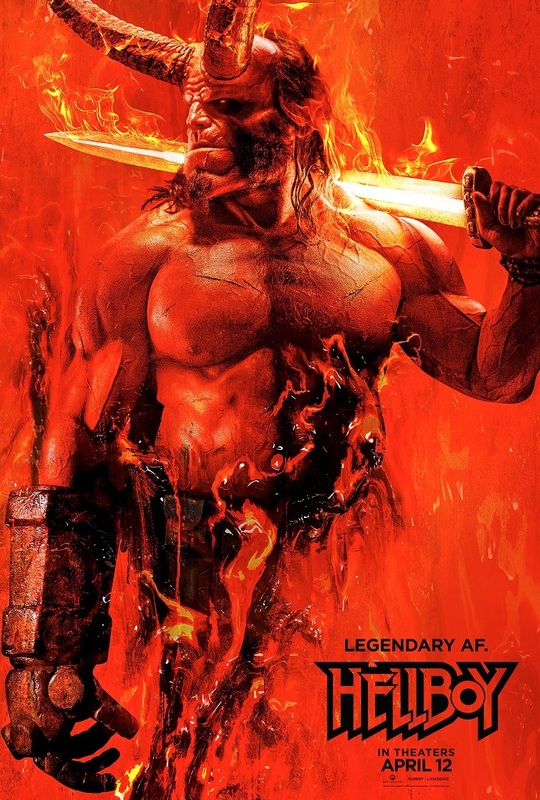 Night shoots for major scenes starring lead character Hellboy (David Harbour) took place in September 2017 at Waring House in Bristol’s Redcliffe area, which can be seen in the opening moments of the movie’s trailer. The demanding shoot featuring SWAT teams, firearms and armoured vehicles, was arranged with help from Bristol Film Office who assisted with location scouting, recces, arranging unit bases and parking. They also helped producers liaise with residents, advising on donations for the local community and ensuring translation needs were met so that communications were fully accessible. Hellboy’s Unit Production Manager (UK) Benjamin Greenacre said: “Hellboy was the fourth – and biggest – film that I’ve shot in my home city and Bristol never disappoints; it’s an exceptional place in which to make a movie. Benjamin’s other recent credits include Fortitude (Sky Atlantic) and The Trial of Christine Keeler (BBC). “As ever it was a pleasure to work alongside the people of Bristol during the shoot,” he said. “We filmed in Redcliffe for a couple of nights; the local residents could not have been more helpful and enthusiastic. Beyond Redcliffe, Hellboy were lucky enough to shoot at the fantastic Wells Cathedral, and at Grittleton House, a beautiful country house near Bath where the Sky series Agatha Raisin is often shot. “Bristol continues to be a renowned centre of excellence for High End Television production – Hellboy puts Bristol on the US studio radar as a city in which to shoot big budget films too. Bristol is a city of film, and Natalie Moore of Bristol Film Office told D&CFilm: “Hellboy was a hugely significant booking for Bristol. “A shoot of this scale brings its own set of complex demands and requires the highest calibre of professionalism from many partners within the city to make it possible. We were able to cater for all the production’s needs, as well as supplying the all-important studio base, production offices and storage at The Bottle Yard.